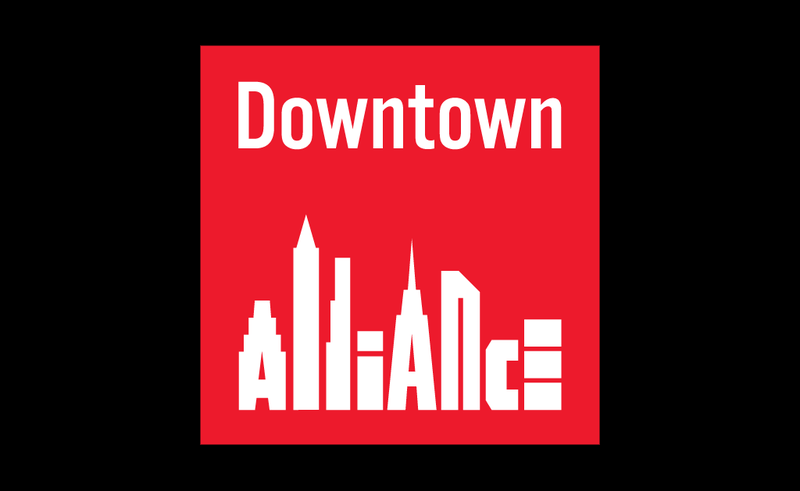 In early 2013 the I-SITE developed and launched the Android version of the free Downtown NYC smartphone app, which is the latest in a series of web and mobile applications created for our client, the Alliance for Downtown New York. The application was first developed as an iOS app for iPhones and iPads. I-SITE previously launched the downtownny.com website in the spring of 2011. 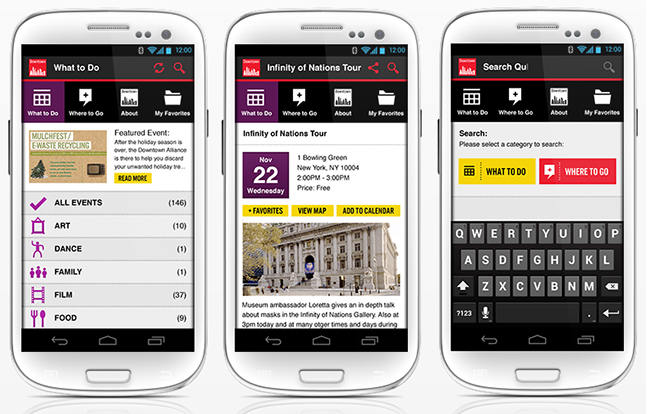 The app was created for tourists, residents and workers in Lower Manhattan to to find events on an integrated Google map, share the events and locations via social media, and add events to their calendar apps on their mobile devices. The Android app’s interface is very similar to the iOS version, but customized for Android. Both apps utilize an easy-to-use, clean interface to enable the user to, in seconds, find events and locations that interest them. Downtown Alliance staff can easily add events and other data to the application through the same CMS interface as they use to manage the website content and iPhone app.